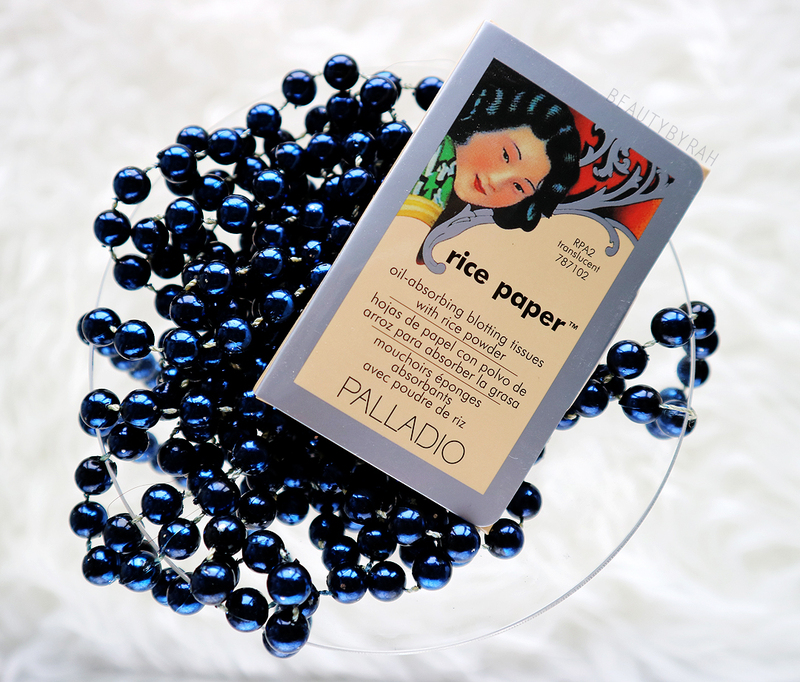 Girls with oily skin are no strangers to oil blotting paper. These are a good tool to bust out throughout the day to help control the shine on the face. Thin, compact and convenient to bring around, these oil control sheets really are a life saver! I am not one to bring a powder out and about, just because I'm pure lazy (not because I do not need it). 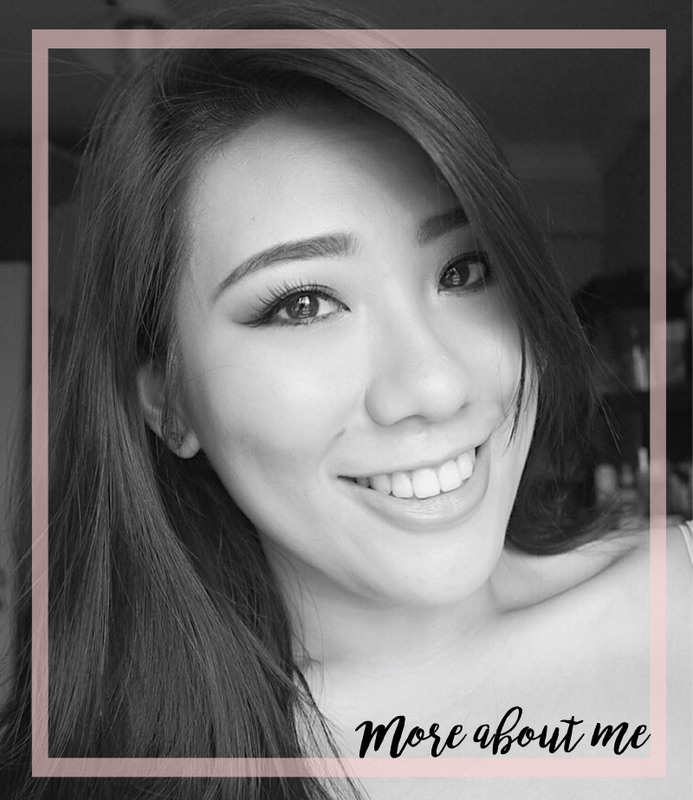 With Singapore's humid climate and sizzling temperatures, my skin gets pretty oily within a short period of time. If I do blot, that is pretty much the only step I do. 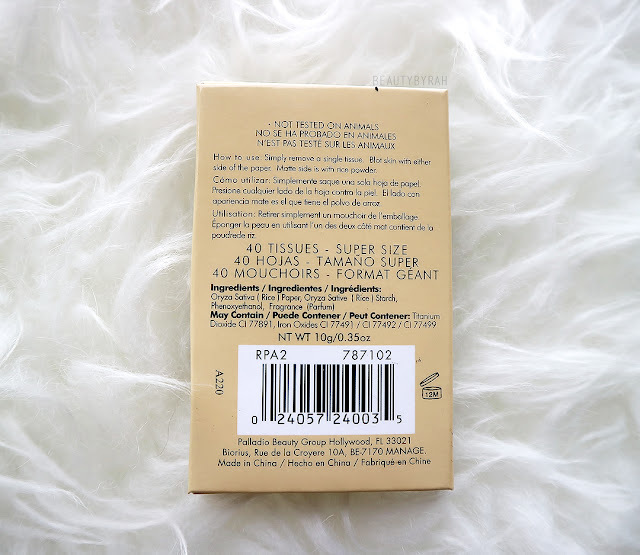 However, some people I know like to apply a little powder to refresh the makeup and to better fight against the oil. With Palladio's Oil-Absorbing Blotting Tissues with Rice Powder, these sheets are both an oil blotter and a powder pack in one. Isn't the packaging nostalgic? It reminds me of the powder my grandmother used to have and display on her vanity. Those were the times. There are 3 different shades available - Translucent, Natural and Warm Beige. One pack comes with 40 sheets and one sheet has 2 sides, one with powder and one without. 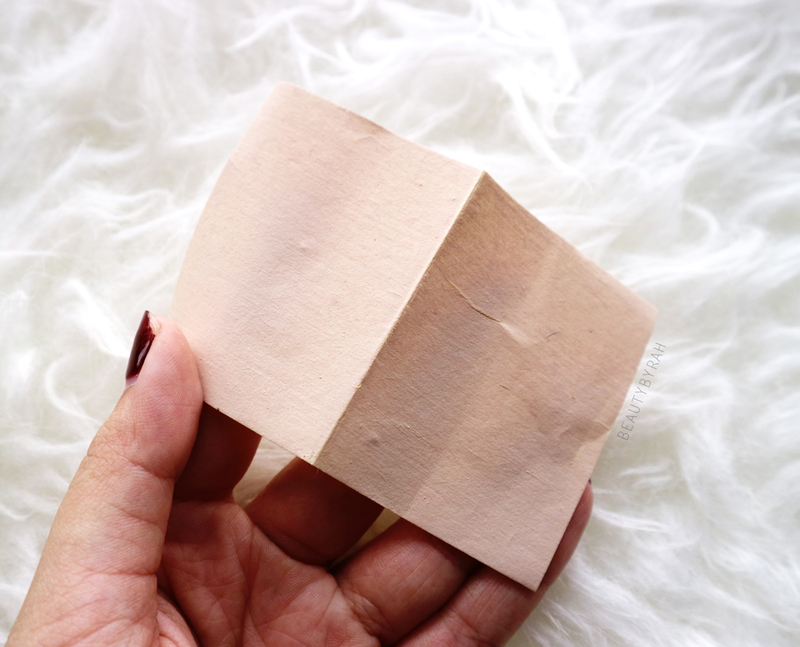 You can blot the skin with either sides of the paper and use it as you would like. I like to blot my face without the powder first, before turning it over and pressing the side with the powder onto the areas which I need it - T zone and chin. If I am in a hustle, I simply just blot and powder all in one step by using the matte side with the powder. These retail for SGD 4.90 which is definitely decent and are great for those who are always on the go. Palladio Cosmetics can be found in selected Guardian stores. 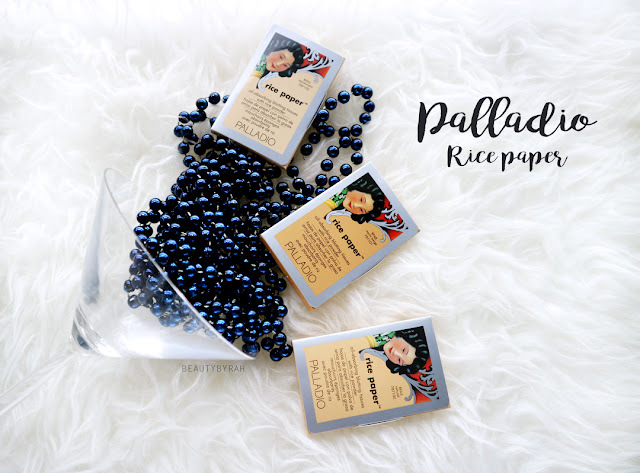 For the month of November, there is a free Rice Paper Giveaway! Just head on over to Jurong Point Guardian Singapore, Friday & Saturday (6-8pm) and Sunday (2-4pm). All you have to do is like Palladio Beauty Singapore on Facebook, like and tag 3 friends on their Instagram picture for the giveaway and you can get yourself one of these! 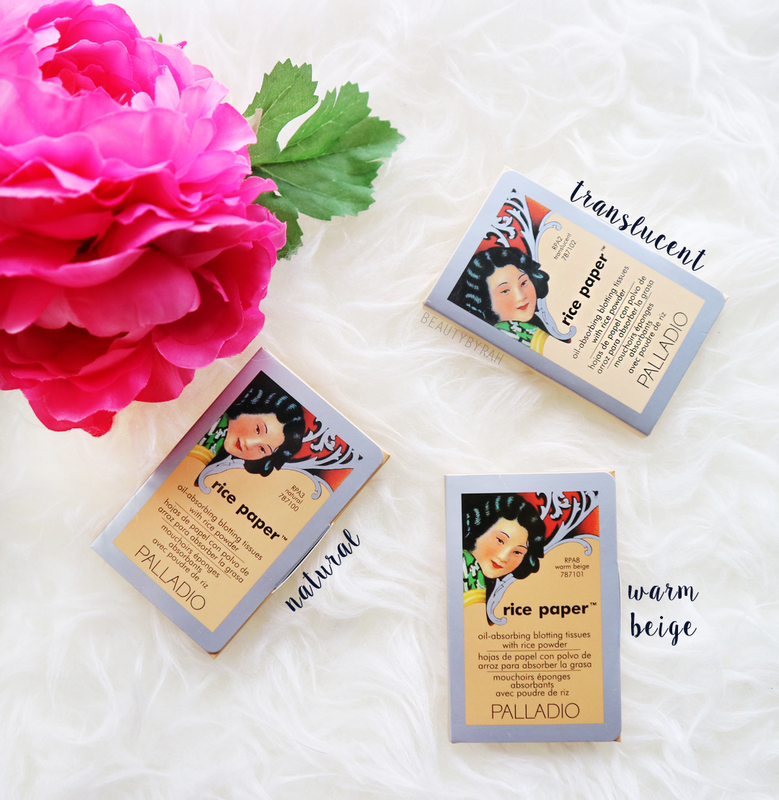 For more information on the Ricepaper giveaway, you can check out Palladio Singapore's Facebook Page and Palladio Singapore's Instagram Page.